Peacefully on December 1, 2018 at Portage District General Hospital with family at her side Mom passed away at the age of 89. She was born in Winnipeg on March 14, 1929. She moved to the Gainsbourgh District in the 1930’s. Mom married Dad in 1951 and they built their farm home in the Macdonald area and resided there until 1975 when they moved to Portage la Prairie. Winters were spent in Texas with many friends and family joining them over the years. After Dad’s passing, she married James Ferris and they spent two more winters in Texas before his passing. In Mom’s early years she enjoyed her summers at the family cabin at Delta. 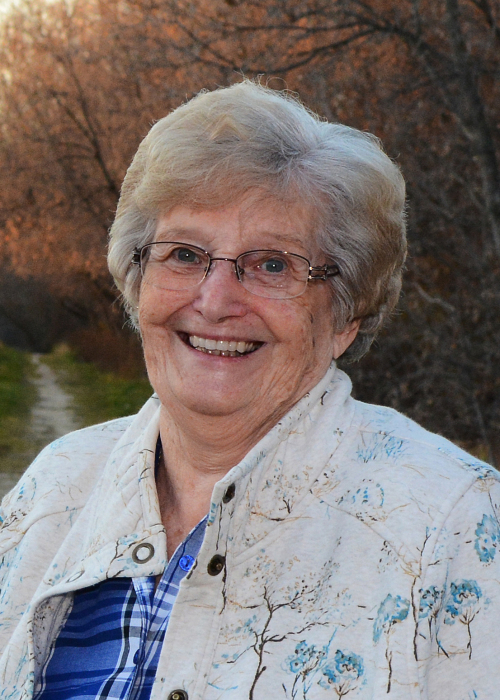 She enjoyed camping trips, fishing, curling, golfing and her bridge club and the long-lasting friendships she made with her “girls”. Her granddaughters and great grandchildren were her joy. She loved spending time with all of them. Mom was predeceased by her husbands George Kitson and Jim Ferris, daughter in law Linda, great granddaughter Robyn, her parents Peter and Margaret Harkess, brothers George and Charlie Harkess and sister Ruth Peppler. Mom is survived by her brother, Glen, her son George (Laurie), daughters Andrea (Danny) and Peggy. Her grandchildren Tracey, Heather (Shaun), Ashleigh, Jessica, Carlie and Lindsay. Her great grandchildren, Hailey, Alysia, Noah, Dylan and Logan. Flowers are gratefully declined. If friends so desire, a donation may be made to the Heart and Stroke Foundation of Manitoba c/o Unit 3 - 2430 Victoria Ave. Brandon, MB R7B 0M5. Flora’s family will celebrate her memory privately.